I’m in Montreal to spend as much time as possible with my mom. 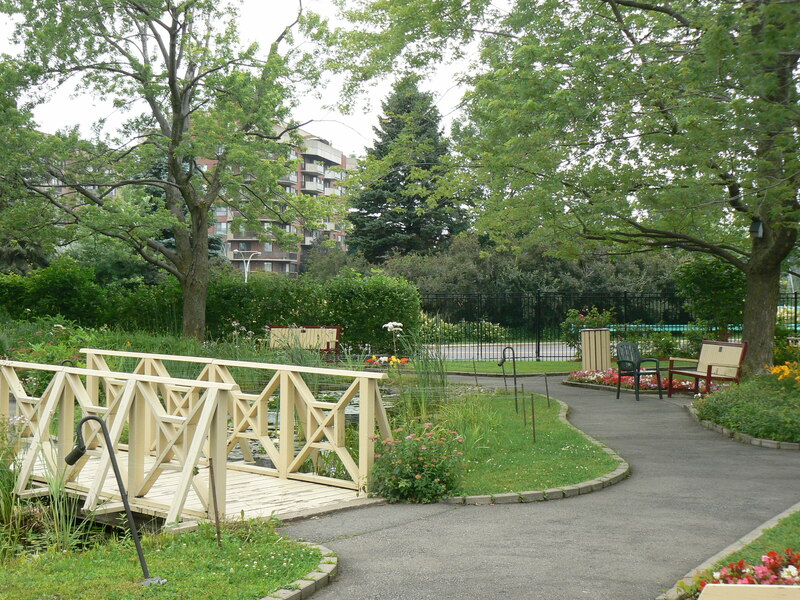 The Palliative Care facility here has an in credible Healing Garden for patients and their families. Although not my own haven, it fills the bill temporarily. 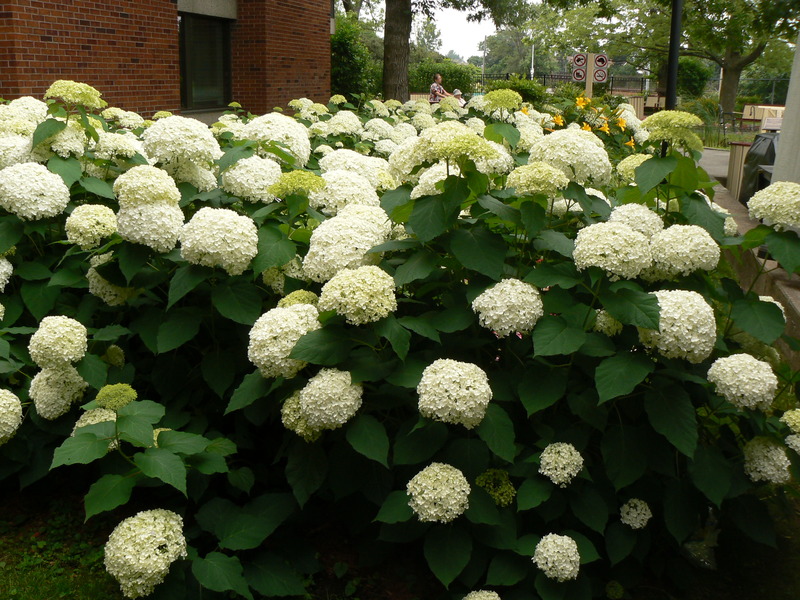 Big surprise is Hydrangea arborescens ‘Annabelle’. I had no idea they were hardy to Zone 3! 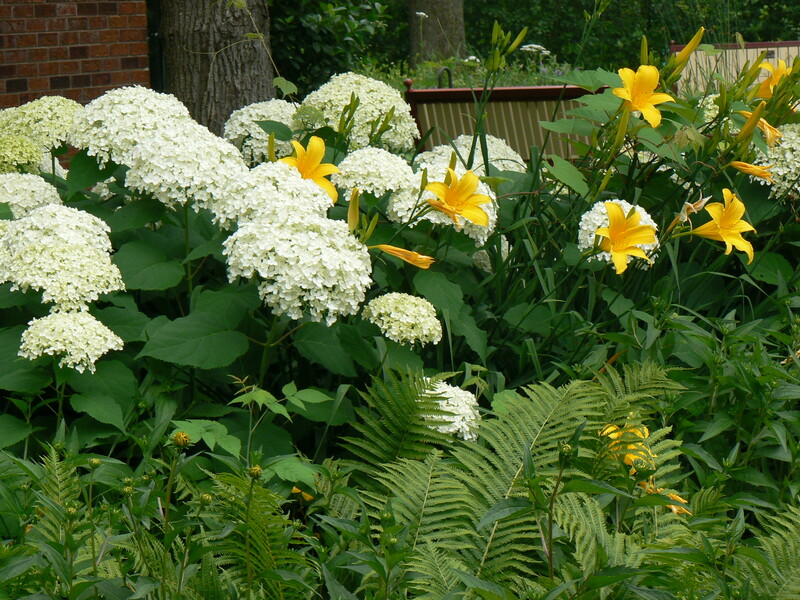 Delightful mixed with daylilies & ferns below. 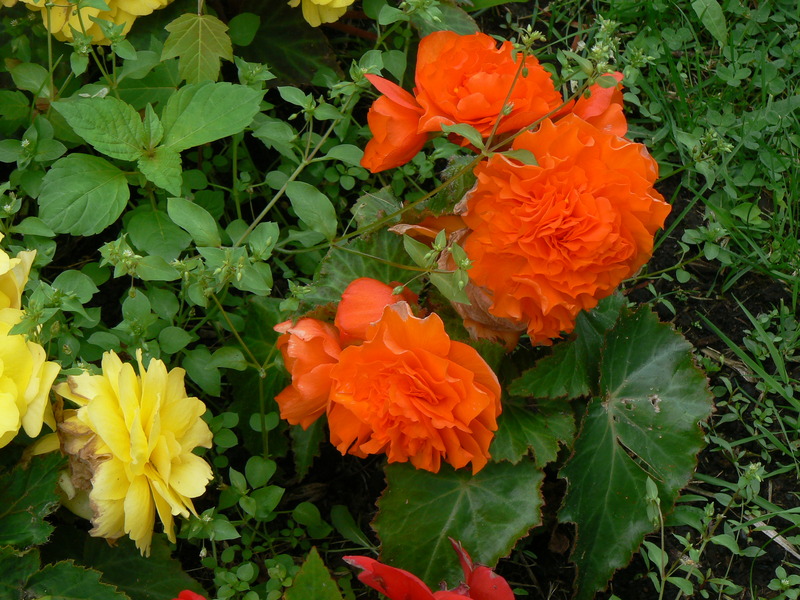 Large plantings of both wax and tuberous begonias for annual colour. Ingenious solution to keep the fish safe from predators. 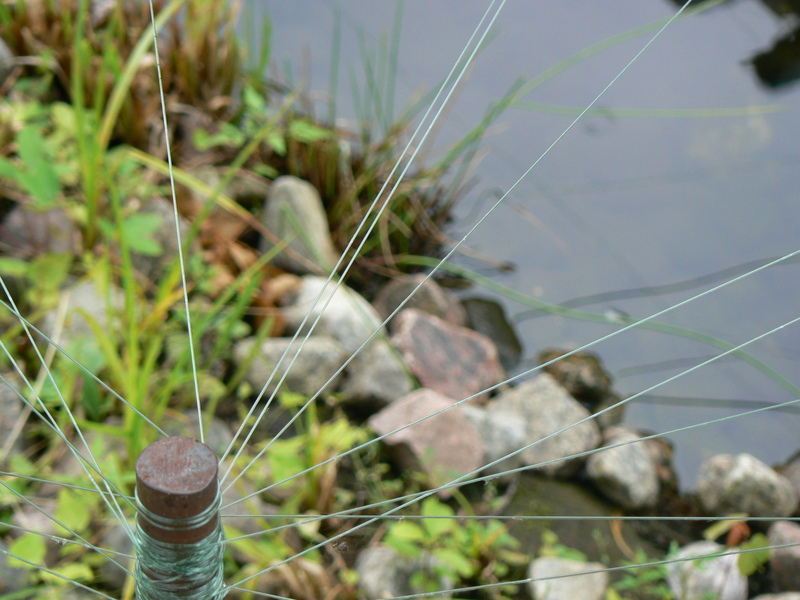 a network of fishing line. 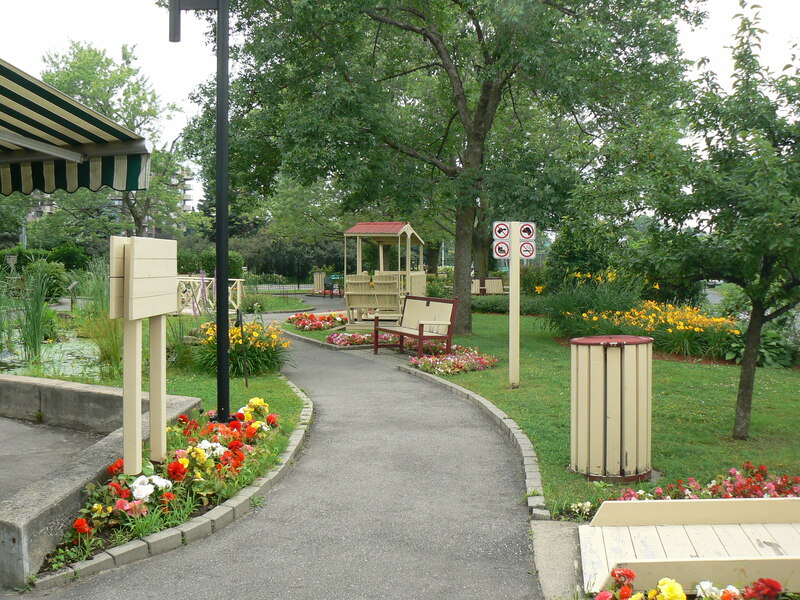 Clearly all the paths are paved and the entire garden is wheelchair accessible. Everything I learned about in my year-long seminar ” Design for the Elderly & Infirm” is beautifully executed here. 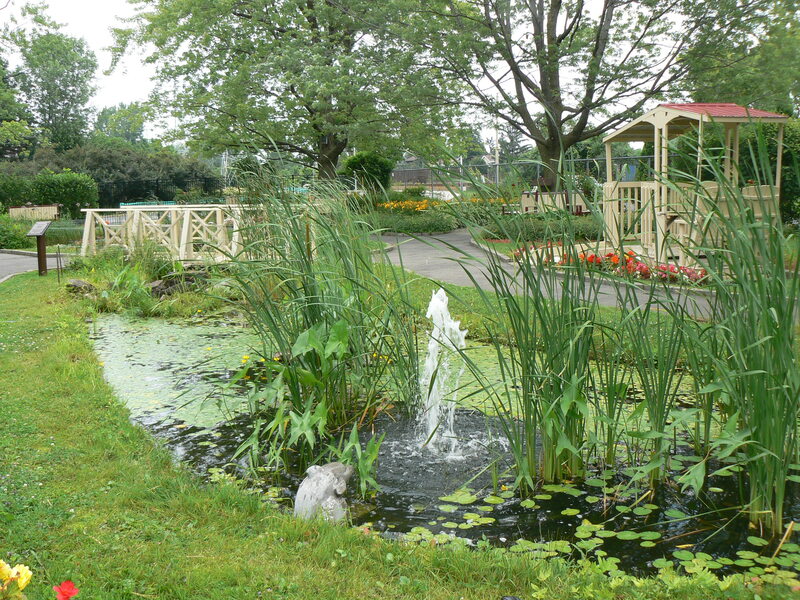 I lunch here daily, overlooking the pond,listening to the sound of the gentle fountain. My mom is receiving the most incredible care and we are so grateful to the entire staff of the Palliative Care Program at Mount Sinai Hospital where she is being treated with compassion & dignity. A huge thank you to all who left comments on my last post. I appreciate your kindness & good wishes. 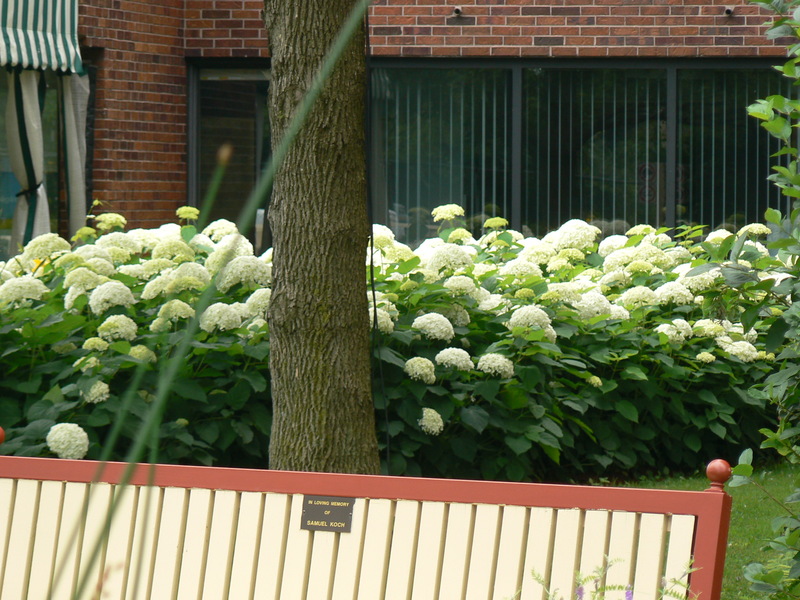 This entry was posted in Garden Design, Hydrangeas, Outdoor Living Spaces and tagged gardens for the elderly & infirm, healing garden, hydrangea 'Annabelle', Mount Sinai Hospital, Palliative care, tuberous begonias. Bookmark the permalink. Wouldn’t it be wonderful to see all hospices, nursing homes, and assisted living facilities provide such beautiful landscaping! So sorry to hear your Mom is at this stage in her life. My prayers and love will be with you!! Lovely post. We miss you and think of you every day! Lovely garden. Thinking of you. Come see your little hydrangea in bloom in our garden when you can. Miserable summer, lots of rain. Glad you are there with your Mom. You have inspired me to go down and spend some time with mine. What a beautiful healing garden, it can make a big difference. 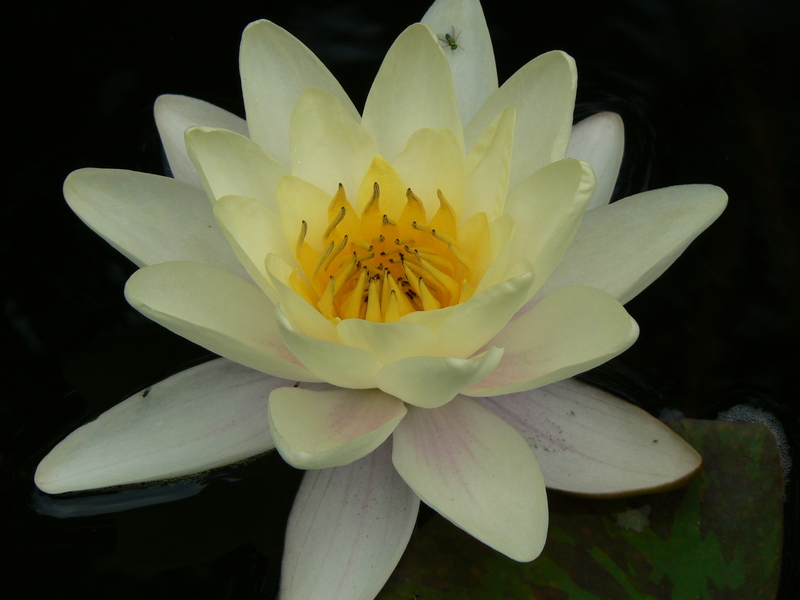 Just sitting near the pond and fountain has its own relaxing and healing properties. One day, when my garden design season winds down, I must visit this beautiful healing garden to admire and be moved by it, as you have been. Thank you for the beautiful pictures! I designed this garden in… 2004? 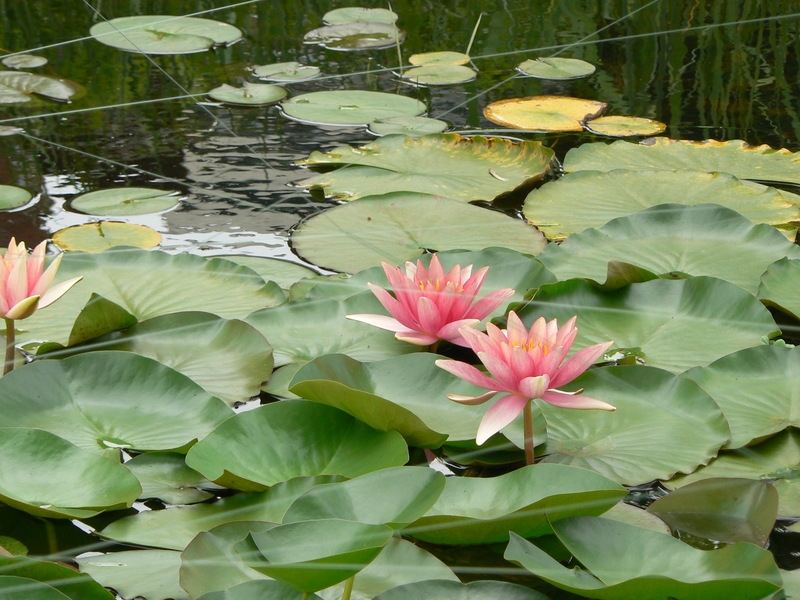 It was my first project as a professional landscape architecture and I was a bit nervous about the pond. It is so gratifying to see it is used and appreciated! I’m glad it brings you comfort in difficult times. Thank you very much for sharing with us your thoughts and feelings in such a challenging moment for you and your mother. 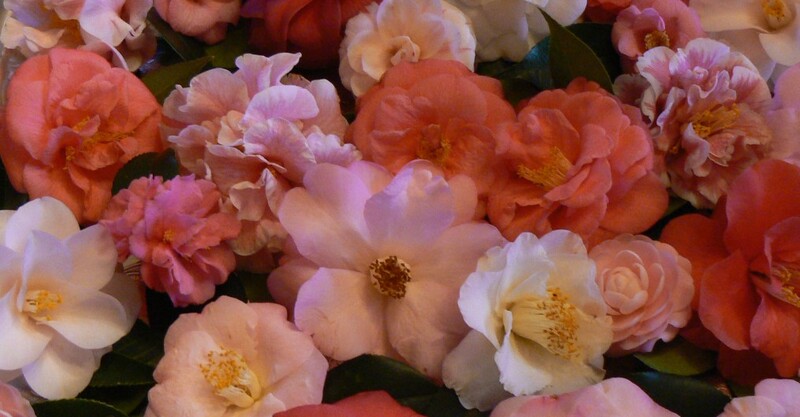 I work as therapeutic garden designer and horticultural therapist in Spain. And I must say that knowing, directly through a patient’s family member, about the effects that these healing spaces make in people going through a difficult moment, it gives me motivation and determination for overcome the difficulties of recommending organizations about the benefits of setting up a healing garden in theis facilities. This garden looks very thoughtfully and cleverly designed, my congratutlations to Catherine Mercier-Baggett. I wish all the best for you and your mother Sandra.